We are sharing two transitional Fall outfits today with Clark’s shoes and boots line at Zappos! You can see other ways we love to use Zappos here, but today is all about the bootie! If you need to feel instantly chic, I always opt for black on black. You’ve heard it all before, its slimming, polished, I love to add a full turtle or mock neck when the temperatures drop. All these have become cliche because it’s true! 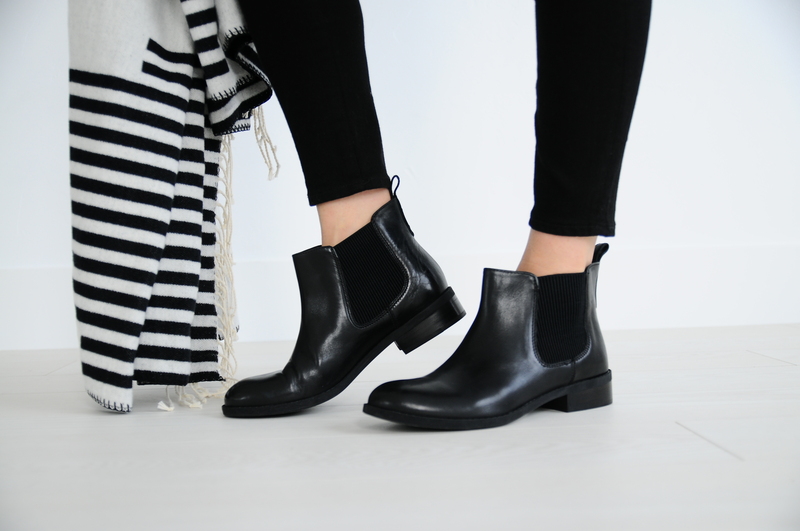 This Pita Sedona (Chelsea style) boot is such a classic, and I love that it can be dressed up or down and works perfectly. I couldn’t decide between the black and tan, probably just going to do both, let’s get real. Team Clark’s! Gosh I love Fall! 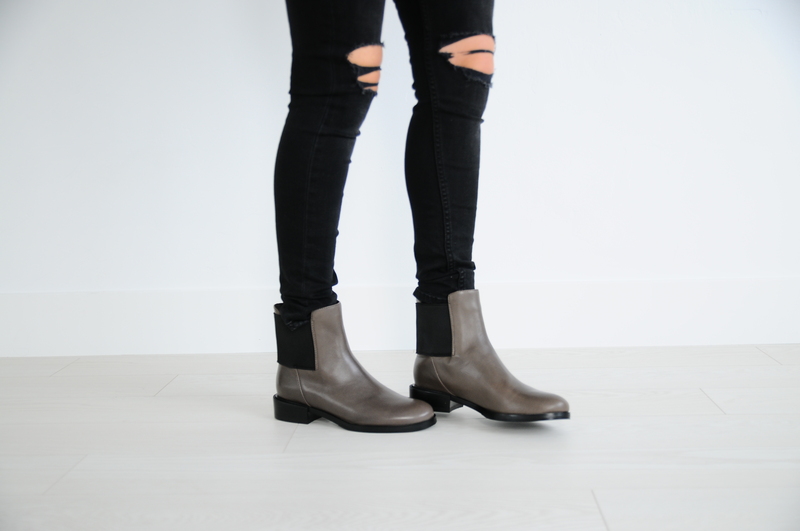 I about died when I spotted these beautiful Taupe leather Marquette boots. They have an elastic back piece that makes them super easy to get on and off without effecting the look of the leather. They’re classified as taupe but they have enough gray undertones that they go with just about anything. Also, one sweater style I’ve been picking up left and right is the sleeveless knit. I love that when it’s topped with a jacket anyone would guess it was a regular sweater, so it feels totally Fall appropriate, but you don’t have the bulk of the arms! Perfect for layering! And then when you move from outside in, you can easily shed some layers and be comfortable no matter how toasty you’re keeping your thermostat. Also, gotta have these destroyed black jeans and more leather. Thanks to Zappos for partnering on this post! We love you Zappos! Love these styles! Emily- PLEASE do a post about your hair color. It’s amazing!! I totally will!! Thanks babe.